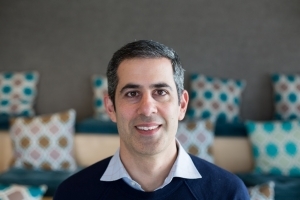 Ilan Frank, Senior Director, Product Enterprise, at Slack, has more than 20 years of experience in the collaboration and business communication space. At Slack, he helps bring organizational transformation to some of the biggest and most influential companies worldwide. Frank previously worked at SAP, where he founded SAP's cloud collaboration solution (now renamed SAP JAM), and helped grow it to 20 million users. He also Transformed SAP Cloud Analytics from simple report repository to a fully dynamic multi-tenant BI and predictive analytics system used by Fortune 100 companies. He later worked for Opower, which was bought by Oracle, leading product management, business, and UX efforts. Frank is a graduate of the University of Minnesota’s Carlson School of Management.